Homer Oilfield Baptist Church had its beginning sometime around 1920 during the Homer oil field boom, with a group of Baptists meeting together for worship services in the "Y" building in the oil field. There were many people living in the field, and Baptists were not the only Christians who worshiped in the building. Presbyterians and Methodists also banded together in their respective units. However, at times, all three denominations worshiped together in a Union fellowship in the "Y" building. According to the original minutes of the Homer oil field, by Evangelist Rev. 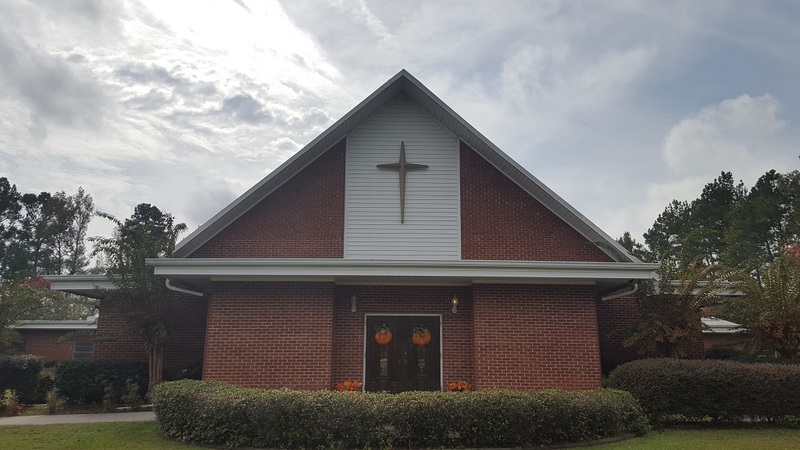 C. P. Rooney of Shreveport, La., and after a month's pulpit supply work, on each second and fourth Sundays, a group of Mississippi Baptist members met in what is known as the "Y" church building, for the purpose of organizing an Independent Missionary Baptist Church. Devotional Services were conducted by Rev. C. P. Rooney, reading the twelfth chapter of First Corinthians, with songs and prayers offered. The purpose of the meeting was explained by Rev. C. P. Rooney, who was elected as moderator, and the following resolutions of organization were read and adopted and duly signed. I. That we the undersigned members of regular Missionary Baptist Churches, as indicated by our signatures do hereby withdraw memberships from said churches and do hereby form ourselves into a regular Independent Missionary Baptist Church and be it resolved. II That we do hereby covenant ourselves together as members of this church under the following church covenant. Covenant was subscribed to be a solemn rising pledge and by prayer, and it be resolved. IV That we declare our adherence to the principle of denominational enterprise as represented by the Louisiana State Baptist Convention, and by the Southern Baptist Convention, and that we pledge our support to the Missionary, Benevolent, and Educational program of the Baptist denomination as fostered under the auspices of these organizations. Calvary Baptist Church was admitted to the Southern Baptist Convention in 1927 or 1928.